Last week I accepted an invite to try out Restaurant Bar & Grill in Manchester, and as a person who can never refuse such an invite in a venue which I’ve always admired, I gave it my full attention when myself and my friend turned up for a Tuesday lunch. Seated by the window of their rather stylish decor restaurant, we were able to browse their full menu and wine list with many pieces standing out in all areas. I’ve always become excited when I see numerous options in a menu to choose from – it means I just have to come back and try something else! 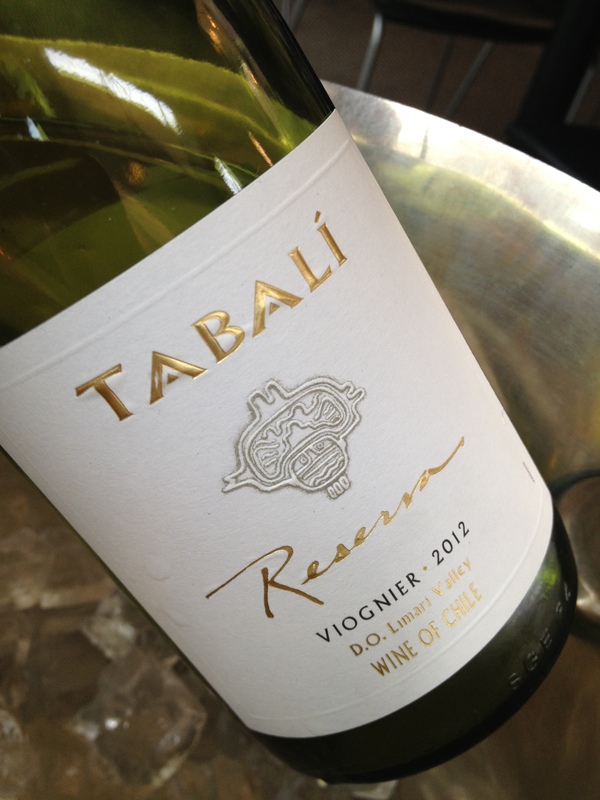 Choosing a bottle of Tabali Reserva Viognier 2012 from Chile to accompany our chosen starter of Severn and Wye Smoked Salmon that came with drizzled English organic honey, mustard and dill dressing. Honey dominated the aromas and flavours of the salmon, but the fantastic portion of the fish itself made the dish rather light. The dressings soaked through near the end which gave a lovely long finish with each mouthful. The honey notes from the Chilean wine complimented superbly with hints of citrus cutting through slightly to break up the flavours. Grilled toast was also a nice touch as it helped soak up the garnish. For mains I chose the Rack of English Lamb whilst my friend went for the well presented Colston Bassett Stilton, Pear and Walnut. 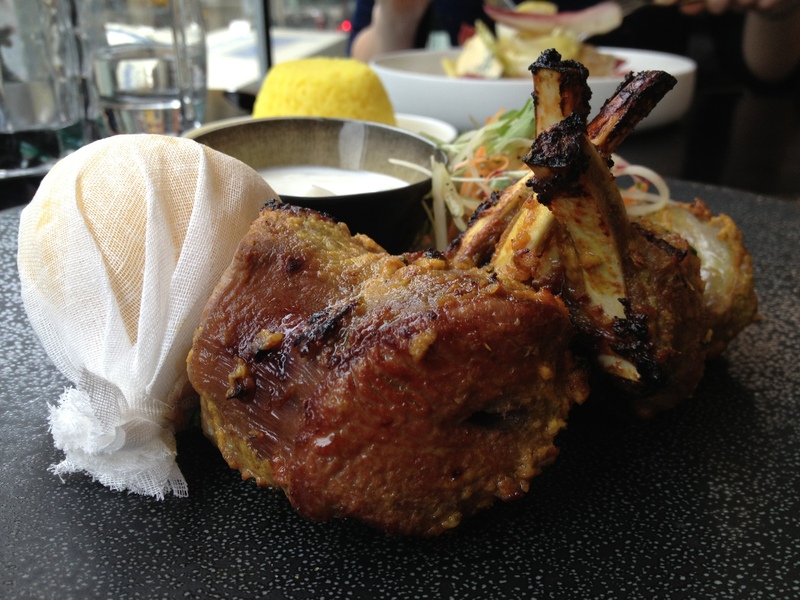 The chilli glazed lamb released subtle flavours that mixed well, especially with the added yoghurt and garlic that accompanied. A dome of yellow rice was a nice touch and soaked up the rest of the juices that the lamb produced. A long-lasting flavour stayed for a while which set me straight up for dessert – Dark Chocolate Fondant. Accompanied with green tea ice cream, served warm and became incredibly moorish. Surprisingly light too and not overly rich like some chocolate desserts can be. Served with a glass of Moscato Passito dessert wine which helped the sweet tooth come alive, it rounded off a rather splendid lunch. My friend felt the same as she tucked into Macaroons of pistachio, raspberry and lemon whilst chatting inside a rather full restaurant. Although busy, the service was still spot on, with nothing too much trouble and even the manager making the rounds which I always feel is a nice touch in any restaurant. We stayed for a good few hours as the atmosphere became rather relaxing and the food brought out at an even pace. Oh, did I say rounded off before? I meant I had a dram of Glenfiddich 12yr to finish. Well, you have to when you’ve had such a fantastic meal. Check out the rest of the photos during my visit via my Facebook page.